Water is essential to our bodies because we need it to stay hydrated. However, it does not mean that you should drink just any water that is available. The quality and cleanliness of the water that you use for drinking, cooking, and cleaning our bodies is also very important. Alkaline water, also known as ionized water, is water that has a pH of approximately 8 which is neutral on the pH scale. This means that it is neither acidic nor basic. 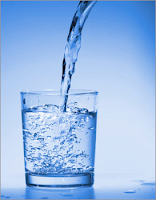 You can often make water into alkaline water with the use of a water ionizer. Below are some of the benefits of alkaline water.
. Improved hydration. Alkaline water does a better job of transporting vitamins, minerals, and other essential nutrients to various parts and organs of your body. Alkaline or ionized water has fewer molecules than ordinary water which allows for better hydration because it penetrates cells more effectively.
. Antioxidant properties. Antioxidants have long been identified and recognized for their anti-aging properties and for fighting diseases. Alkaline water is said to contain antioxidant properties so that your body can fight the free radicals that could lead to various diseases and to aging. · Balance. The usual diets of many people nowadays are acidic and alkaline water can help balance your body. An acidic body can lead to many disorders and symptoms such as muscle and joint pain, fatigue, headaches, indigestion, dry skin and hair, and excessive mucous. Drinking alkaline water can help balance your body and because of this, prevent arthritis, cancer, kidney disorders, and heart disease. · Cleaner body. Drinking water is not just for hydration; water is also needed by our bodies for cleansing. Alkaline water does an excellent job of cleaning your organs and it is known for being effective in cleansing the colon. 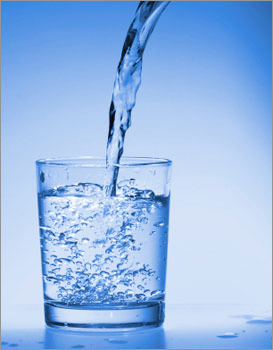 By drinking alkaline water, you can enjoy a cleaner body that is free from unclean and toxic elements. · Better skin. Since alkaline does a better job of hydrating the body, your skin which is the biggest organ of your body, benefits a lot from drinking alkaline water. You can enjoy a more elastic and smoother skin. If you have dry skin, you will benefits from drinking alkaline water. · Better flavor. When it comes to cooking and preparing food, alkaline water can enhance the natural flavor of the food so that you do not have to put too much unhealthy flavorings. You can use alkaline water for soaking your meat and fish to tenderize them and to remove any odors. It can also cut cooking time of rice and pasta by over 25%. Aside from this, ionized water is great to use when brewing coffee or tea because it can boost the aroma, flavor, and color of the coffee beans or tea leaves.